This broth combines fresh organic vegetables with roasted organic vegetables and spices to create a nutrient dense bonanza of flavor! Each serving contains 2 grams of protein. 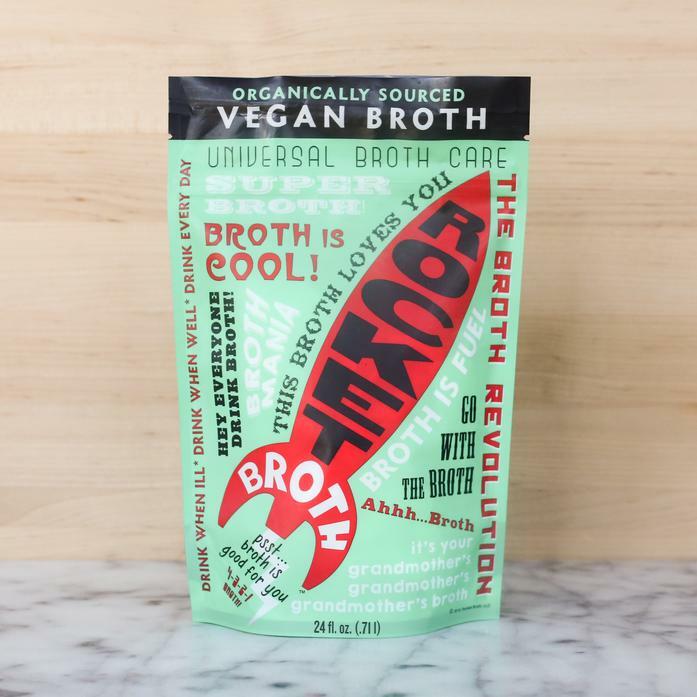 Rocket Broth is the brainchild of Sheryl Moller, a Board Certified Holistic Healthcare Practitioner, and Cree LeFavour, the James Beard Award nominated author of several spectacularly beautiful and beloved cookbooks including The New Steak and Poulet. The product is vegan, gluten-free and paleo-friendly. Produced in a facility that processes nuts and wheat.